Red light therapy is an every-day term for the science of photobiomodulation. In other words, it is a therapy that uses red light wavelength to treat pain, inflammation, wounds, arthritis and improve mental and physical performance. What if I told you, one of the best recovery tool you can use is actually light itself. Imagine then the power of a red light penetrating your skin and the effects it might produce. NASA first discovered how effective Red Light Therapy could be when they commissioned QDI to assess its use in stimulating plant growth in space. It started as a way to limit bone and muscle loss in astronauts. There followed a clinical trial on bone marrow, and stem cell transplant at the University of Alabama, Birmingham, and patients reported a 45% reduction in pain and the research began to be focused on energy transfer to human cells. After extensive research, it was found that it can amplify the production of ATP (Adenosine Triphosphate) by up to 200%; ATP is a chemical that is needed for many processes within the body. It is approved by the FDA and has been studied worldwide. It is now used to treat a number of skin complaints, minor pains, and injuries and it affects skin structure. Research has found that red light reflected onto the skin at a particular wavelength frequency (600 to 90nm) can penetrate human tissue much more efficiently than light on other wavelengths. This produces ATP which then rejuvenates the cells in our bodies and triggers many beneficial effects. The light energy converts to cellular energy in the body and sets off a series of metabolic reactions including producing new capillaries and increased levels of collagen as well as releasing ATP. The process is called ‘photobiomodulation,’ and its use is becoming increasingly popular as it is now believed to improve mitochondrial health, that is, supplying cellular energy. Blue and Red Light Therapy depends on the light emitted through a variety of light sources. They also differ in the diseases they treat. Blue Light is used to treat Sad Affective Disorder (SAD), depression and other mental disorders; in population that does not have as much access to direct sunlight or work night shifts. Blue light also has a bad rep when it comes to sleeping disorders. As modern society becomes more and more advanced, our circadian rhythm is getting affected by it. Blue light also comes from artificial light. The light produced by your phone, computer, TV and other light sources around your house. You see we human start producing melatonin (a hormone that helps us fall asleep) when it starts to get dark, (after sunset). It is also worth noting that blue ligth is considerably closer to Ultraviolet (UV) light, which as we all know is considered to be at the origin of some health diseases including cancer. The treatments that red light covers are covered in more details below. Many benefits are ranging from the cosmetic to health-boosting. Through vasodilation, red light therapy essentially increases blood flow and delivery of vital tissue building blocks to slowly healing wounds in order to speed up the process. Furthermore, the cells directly involved in the healing process, i.e., Fibroblasts are activated by the penetrating radiation by the formation of Adenosine Tri-phosphate or ATP, and they begin synthesizing crucial collagen. The effect on superficial wound healing times has been seen as early as 24 hours after a single light therapy session. The same compounds have been shown to repair sun damage and reduce the advent of wrinkles, fine lines, and laughter lines as it alters the skin structure and a difference could be seen in wrinkles within a matter of months. This could be because of new collagen formation or the reorganization and repair of elastin within the skin. This will give you that healthy smooth look that many anti-aging creams dream of achieving. It can also be used to alleviate acne and other skin blemishes, including the lessening of scars, eczema and stretch marks. Decreased movement and painful joints are a result of decreased cartilage between the opposing ends of the bones involved, and with red light therapy, the improved collagen synthesis can repair the articular cartilage in joints and improve the symptoms of arthritis. Similarly, the anti-inflammatory and lymphatic enhancing properties of red light therapy increase the repair and reinforcement of muscle fibers leading to decreased muscular pain and spasms. It has been shown to have a positive effect on the thyroid gland. There are roughly 20m Americans who suffer from a dysfunctional thyroid, a small butterfly-shaped gland at the front of the neck. This small gland releases hormones into the endocrine system and secretes them into nearly every cell in the body. When the body does not receive enough hormones (Hypothyroidism), it can produce multiple symptoms including extreme fatigue, depression, forgetfulness and weight gain. Conversely, when the body receives too many hormones into the endocrine system (Hyperthyroidism), sufferers can experience irritability, nervousness, muscle weakness, vision problems and sleep loss. Clinical studies have shown red light therapy as an effective adjunct to drug treatments in patients with Hypothyroidism and Autoimmune thyroid disorders. One study in 2013 showed such improvement in 47% of subjects that they were able to safely discontinue their thyroid medications and rely on light therapy alone. It can also help with weight loss, fat reduction, and body shaping. 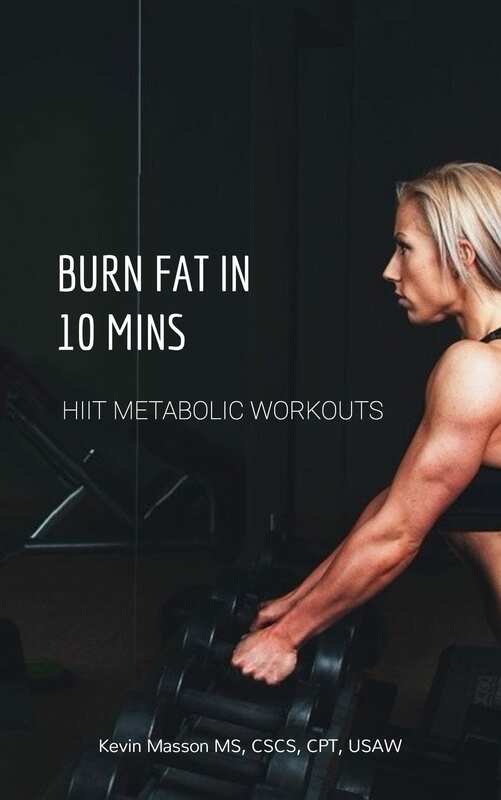 Whereas usually, to achieve these benefits, a healthy diet and exercise would be implemented, it is not always effective if there is a metabolic dysfunction present for instance. Stress has a detrimental effect on the metabolic rate, and because stress is commonplace in our everyday lives, it follows that metabolic rate will also be adversely affected. It has not been proven entirely, but there is a theory that light therapy helps the cells that store fat to flush it away. Red light therapy also has a stimulatory effect on the mood centers of our brain, such that patients of chronic fatigue and clinical depression showed a substantial improvement in their self-confidence, energy levels, conversational skills and overall satisfaction. Part of this effect is achieved by the tendency of light therapy to increase energy output at the cellular level and increase the production and release of ‘feel good’ neurotransmitters in the brain. It has also been shown to diminish hair loss and stimulate growth. It works in the same way as for wound healing. Illness such as osteoporosis and rheumatoid arthritis have been relieved by this treatment. It can be used first thing in the morning to alleviate stiffness caused by arthritis and even when the illness is more advanced is still known to give some relief, although research shows more benefits in the short term. Perhaps most impressively, research made by NASA shows successful results in treating skin cancer and ease the side effects of chemotherapy and radiation treatment. A 2013 study in Biomedical Research examined the effect of light therapy on testosterone production in rats. This study found that light therapy at 670 nanometers (nm) increased the serum testosterone levels, with no noted side effects. Due to their findings, the researchers stated that red light therapy could potentially work as an alternative treatment method to traditional testosterone treatments. Dr. Olli Sovijarvi has stated that red and near-infrared light wavelengths encourage the production of ATP in the Leydig cells that produce testosterone, enhancing their energy production and helping increase amounts of the hormone. What makes this therapy appealing is the fact that it is entirely natural. It is a drug and chemical-free treatment and is entirely non-invasive, so no surgery or needles are required. It does not damage the skin, the opposite in fact, and is painless to administer. There is no soreness due to burning or itchiness or stinging. It can be used for all ages from young to old and is suitable for all skin types. There have been no adverse side-effects reported, and the treatment can even be done at home, being FDA approved. The treatment harnesses all the benefits of natural healing, and the therapy delivers energy at a rate higher than that of the sun. It is very energizing and relaxing to use. Red Light Therapy is different from the more traditionally used laser treatment which sends a pulsing light onto the skin which deliberately destroys the epidermis or dermis in order to trigger new growth by causing inflammation and burning. Red Light encourages repair by directly encouraging cell regeneration and skin rejuvenation. The treatment can be used once or more a day and is also dependent on its use. For example, if being used for the relief of pain then this should be noticeable at the end of one session. If the intention is to reduce wrinkles this may take between eight and twelve weeks, or even more; everyone is different. Low dosage does give a proper response whereas a high does give a negative or neutral response. There is an optimum level for treatment. Ideally, it is thought to be three to four times a week for four to six weeks but if it is being used for general maintenance only, then once or twice a week should be enough. To start with, the treatment should be used daily for the first week. There are many ways to get the full benefits of Red light therapy, let us start with the cheapest one, or in this case the free method. If you are a morning person and like to wake up before the sun rises you are in luck! You see the most effective way to get red light is also the most natural way and that is light coming from our sun. Now the tricky part is to make sure it is at the correct wavelength and that only occurs twice a day, at sunrise and sunset. At those specific time, the sun is low enough to produce that beautiful red color, and that is what we are looking for. So that is great and all but if you are not a morning person and don’t have time to wait for sunset, do not worry. Technology is marvelous, and there are products out there varying from cheap to expensive prices that replicate the infra-red and near infra-red effect through LED lights. Finally, Here at BioFit Performance, we do offer to our member’s infra-red sauna, it is included in our recovery tools, and the reason why we use infra-red sauna is that infrared heaters warm the body in the same manner as natural sunlight. Infrared heat therapy uses the wavelength of the visible and non-visible light spectrum of sunlight. Traditional saunas raise the temperature of the air to a very high level within the chamber to warm the body and this cause some people to have difficulty breathing in this extremely warm air. Infrared saunas work differently; instead of heating the air within the enclosure, infrared saunas heat the body directly. The result is deeper tissue penetration. In an infrared sauna, the body perspires and receives all of the healthy benefits but avoids the harmful and extremely hot air of a traditional steam sauna. The experience you get from the infra-red sauna is healthier, but the key reason why we offer it is because of it’s healing benefits which will make you recover faster and feeling better than ever before. To Conclude Red Light Therapy is quickly becoming a popular mode of naturally treating a host of different illnesses and a fast track to recovery for athletes With no side effects, you simply cannot miss out on the benefits of it and should try it out yourself. Gam, A. N., Thorsen, H., & Lønnberg, F. (1993). The effect of low-level laser therapy on musculoskeletal pain: a meta-analysis. Pain, 52(1), 63-66. Medrado, A. R., Pugliese, L. S., Reis, S. R. A., & Andrade, Z. A. (2003). Influence of low-level laser therapy on wound healing and its biological action upon myofibroblasts. Lasers in surgery and medicine, 32(3), 239-244. Bjordal, J. M., Couppé, C., Chow, R. T., Tunér, J., & Ljunggren, E. A. (2003). A systematic review of low-level laser therapy with location-specific doses for pain from chronic joint disorders. Journal of Physiotherapy, 49(2), 107-116. Ahn JC, Kim YH, and Rhee CK. The effects of low-level laser therapy (LLLT) on the testis in elevating serum testosterone level in rats. Biomedical Research. 2013; 24(1):28-32.